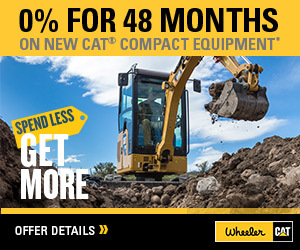 Cat Asphalt Pavers For Sale in Utah | Wheeler Machinery Co.
Caterpillar offers a broad range of Cat® asphalt pavers that compete in the rubber tire, steel track and rubber belted markets. 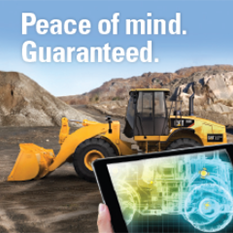 High horsepower and excellent mobility help operators place the mat where they want it. All models are equipped with independent feeder systems designed to reduce segregation and handwork. The ventilation system draws fumes away from the conveyor tunnel as well as the auger chamber and redirects them away from the operator for a more comfortable working environment. Electronic self-diagnostics on the propel and feeder systems maximize maintenance efficiency and reduce machine downtime. 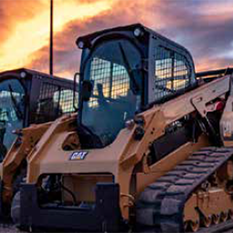 Cat screeds feature hydraulic variable-width adjustment and electrically heated screed plates. They are available in rear-extender and front-extender models.